Highly functional and certified in accordance with current CE protection standards, the All Terrain boots are ideal for both the road and soft, wet and muddy terrains. 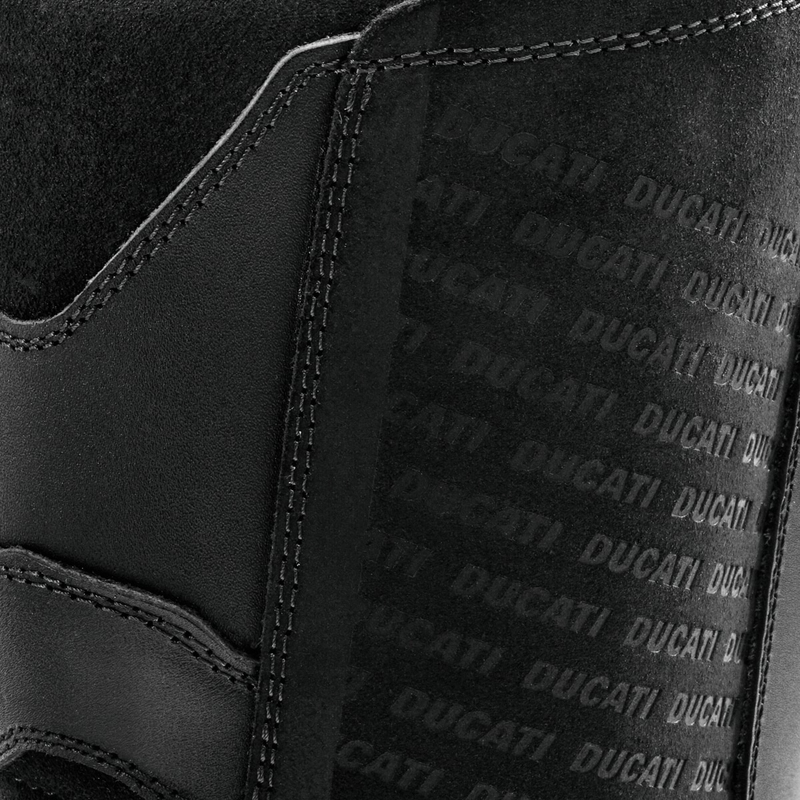 The upper, in which lined pleats are inserted to increase comfort, is a mix of full grain leather and suede. 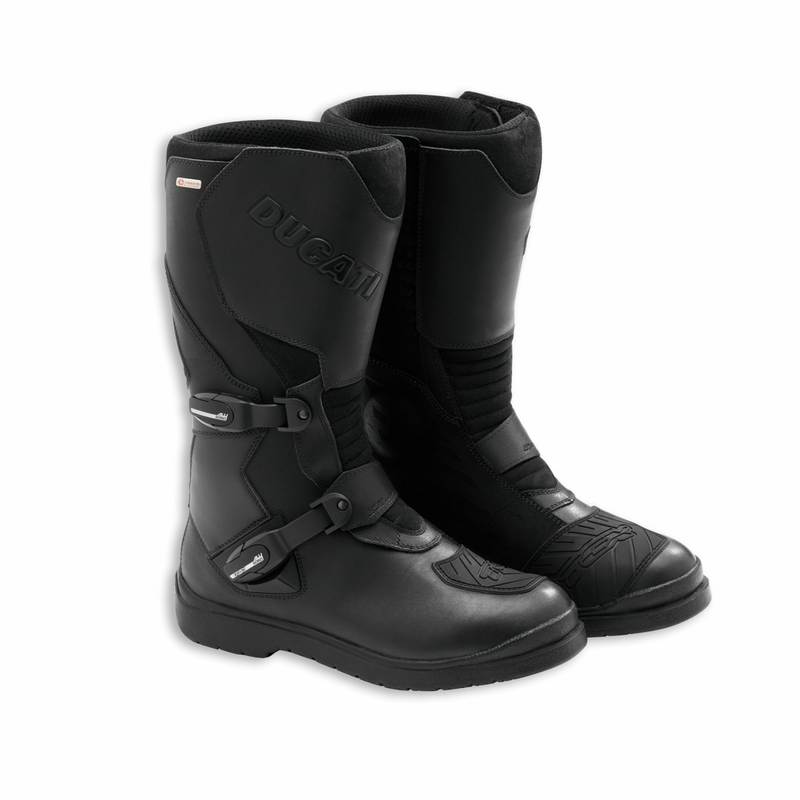 Equipped with the waterproof and highly breathable eVent® membrane and a closure system with adjustable, interchangeable aluminum levers, the boots have a rubber sole designed to favor maximum grip on the pegs. 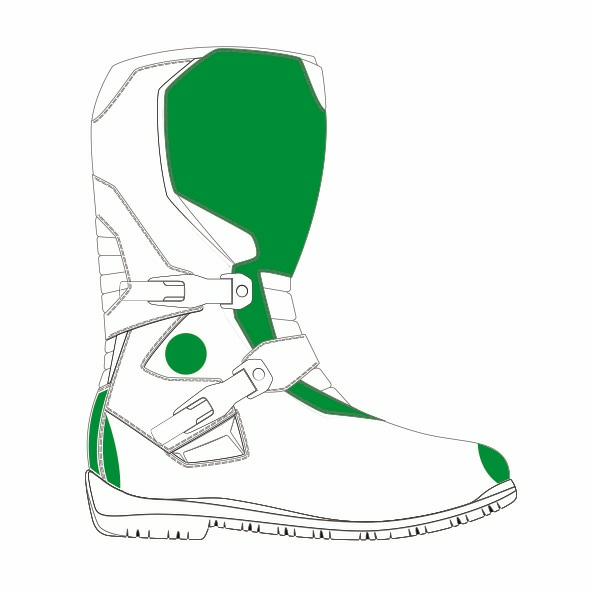 Created in collaboration with TCX, they are perfect for taking on any terrain.